Pioneers in the industry, we offer engine radiator, vehicle engine radiator and suv radiator from India. Keeping in mind the diverse requirements of our customers, we are engaged in manufacturing and supplying broad range of Engine Radiator. We offer innovative products to our clients and are resistant to corrosion. Our products are manufactured using best raw material that we source from professional vendors of the market. We offer products to our clients in the stipulated time frame to meet the market demand. 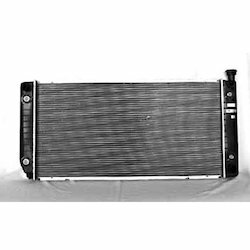 Customers can avail from us a quality range of Vehicle Engine Radiator. A standardized process is followed for their manufacture. And, also these are made available in various dimensions as per the requirements of the customers. These products are in high demand in the market due to longer working life and less maintenance. These radiators are available in various designs and sizes as specified by our clients. 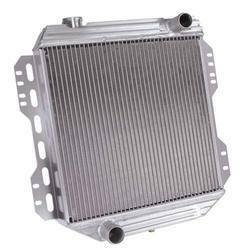 We are the leading manufacturer and exporter of SUV Radiator in Coimbatore, Tamil Nadu, India. We have manufactured the entire range utilizing high-grade raw material and advanced technology. For enhanced cooling and compact size of the Charge Air Cooler, new welded tubes with inner fins (Turbulator) are available. These are highly demanded in various industries due to its robustness and high performance. We offer this product at very reasonable price rates. 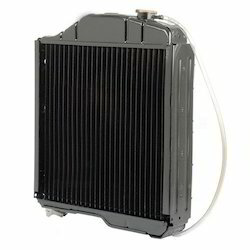 Looking for Engine Radiator ?